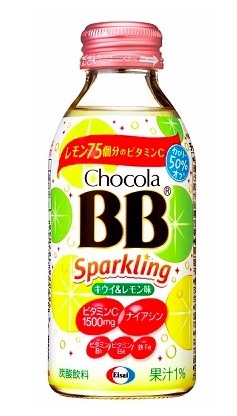 Eisai Co., Ltd. will launch its new carbonated beverage Chocola BB Sparkling Kiwi & Lemon Flavor, classified as a Food with Nutrient Function Claims, in Japan on Tuesday, April 9. Eisai Co., Ltd. announced today that in the 8th meeting of the Data Safety Monitoring Board (DSMB) for the global Phase III clinical studies (MISSION AD) on the investigational oral BACE (beta amyloid cleaving enzyme) inhibitor elenbecestat (development code: E2609) in early Alzheimer&apos;s disease (AD). Eisai Co., Ltd. announced that a global Phase III clinical study (Clarity AD/Study 301) of BAN2401, an anti-amyloid beta protofibril antibody, in patients with early Alzheimer&apos;s disease has been initiated. BAN2401 is being jointly developed by Eisai and Biogen Inc.
Eisai Co., Ltd. announced that a total of seven presentations highlighting the latest data on its Alzheimer&apos;s disease/dementia pipeline, including anti-amyloid beta (Abeta) protofibril antibody BAN2401 and oral beta amyloid cleaving enzyme (BACE) inhibitor elenbecestat will be given at the 14th International Conference on Alzheimer&apos;s & Parkinson&apos;s Diseases (AD/PD). Biogen and Eisai, Co., Ltd. announced the decision to discontinue the global Phase 3 trials, ENGAGE and EMERGE, designed to evaluate the efficacy and safety of aducanumab in patients with mild cognitive impairment due to Alzheimer&apos;s disease and mild Alzheimer&apos;s disease dementia. Eisai Co., Ltd. and Imbrium Therapeutics L.P., a clinical-stage biopharmaceutical company and operating subsidiary of Purdue Pharma, L.P. have announced that the U.S. FDA has accepted for review the NDA for lemborexant, an investigational agent being studied for the treatment of insomnia, a sleep-wake disorder. Eisai Co., Ltd. announced today that a marketing authorization application has been submitted in Japan for lemborexant, an investigational agent for sleep-wake regulation, seeking approval for use in the treatment of insomnia disorder. Eisai Co., Ltd. has entered an agreement to support the international non-governmental organization Association for Aid and Relief, Japan&apos;s program to raise awareness of mycetoma in Sudan. AbbVie, a research-based global biopharmaceutical company and Eisai Co., Ltd. announced that they have received approval for an additional indication of HUMIRA (generic name: adalimumab [recombinant]), a fully human anti-TNF-alpha monoclonal antibody, for the treatment of hidradenitis suppurativa (HS). Eisai Co., Ltd. announced today that it has submitted an application to the European Medicines Agency (EMA) for its in-house discovered antiepileptic drug (AED) Fycompa (perampanel) seeking approval for use in pediatric patients with epilepsy. Eisai Co., Ltd. and Purdue Pharma L.P. announced a six-month results from SUNRISE 2, a long-term Phase 3 clinical study evaluating the efficacy and safety of lemborexant, an investigational agent being developed for the treatment of insomnia, a sleep-wake disorder. Eisai Co., Ltd. has filed a supplementary new drug application in Japan for its in-house discovered antiepileptic drug (AED) Fycompa (perampanel) seeking approval for use as monotherapy for partial-onset seizures, treatment for partial-onset seizures in pediatric patients aged 4 years and older, as well as a new fine granule formulation. Eisai Co., Ltd. has been listed in the 2019 Global 100 Most Sustainable Corporations in the World (Global 100), a global ranking by Canada-based media and investment advisory company, Corporate Knights, Inc.
Eisai Co., Ltd. announced today that the application period for the first round of the voluntary retirement program it announced on October 25, 2018, has ended and hereby discloses the results. Eisai Co., Ltd. announced today that presentations on a series of abstracts highlighting the latest data from post-hoc analyses of a Phase III clinical study (REFLECT/Study 304) on its in-house discovered multiple receptor tyrosine kinase inhibitor lenvatinib mesylate as first-line treatment for unresectable hepatocellular carcinoma (HCC) will be presented during the 2019 Gastrointestinal Cancers Symposium (ASCO-GI) in San Francisco. Eisai Co., Ltd. and Purdue Pharma L.P. today announced that a new drug application has been submitted to the U.S. Food and Drug Administration (FDA) for lemborexant, an investigational agent for sleep-wake regulation, seeking approval for the treatment of insomnia, a sleep-wake disorder. 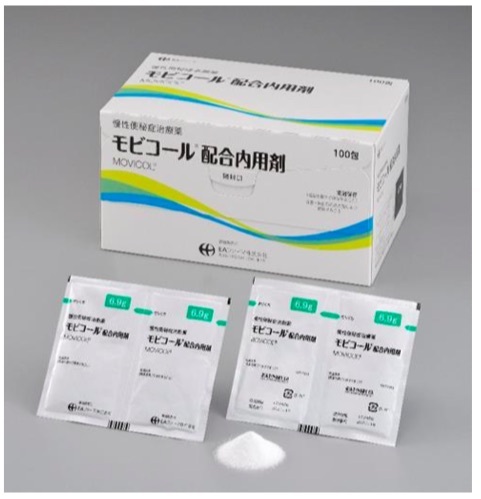 Eisai Co., Ltd. has announced that it received a "Nikkei Business Daily Awards for Superiority" for its Etak Antimicrobial Spray Alpha, which contains long-acting antimicrobial agent Etak, at the 2018 Nikkei Superior Products and Services Awards sponsored by Nikkei Inc.
Eisai Co., Ltd. announced that its in-house discovered and developed AED perampanel, for which a NDA was submitted for review as an adjunctive treatment for partial onset seizures in epilepsy patients 12 years of age and older in China in October 2018, has been designated for Priority Review by the NMPA due to perampanel&apos;s significant clinical benefit compared to existing treatments. Bristol-Myers Squibb Company, Eisai Co., Ltd. and its U.S.-based precision medicine research & development subsidiary H3 Biomedicine, Inc. has announced a multi-year research collaboration focused on evaluating whether novel therapeutics leveraging H3&apos;s RNA splicing platform can provide a more powerful response against cancer. Under this agreement, Eisai will supply Eurofarma with lorcaserin. Eisai will receive a one-time contractual payment and is eligible for milestone payments for sales in Brazil. The Global Antibiotic Research and Development Partnership (GARDP), Eisai Co., Ltd. and Takeda Pharmaceutical Company Limited have signed an agreement for GARDP to access and screen components of Eisai and Takeda&apos;s chemical libraries. Eisai Co., Ltd. and University College London (UCL) announced today that they have commenced preparations for Phase I clinical studies on E2814, the first clinical candidate from their drug discovery collaboration, in Alzheimer&apos;s disease patients within fiscal 2018. MOVICOL is the first polyethylene glycol preparation indicated for treatment of chronic constipation in Japan, available for adults and children 2 years of age and older. Eisai Co., Ltd. announced today that based on topline results, the primary efficacy endpoint was met in a Phase III clinical study (Study 342) conducted for submission in Japan, which evaluated its in-house discovered antiepileptic drug (AED) Fycompa (perampanel) as monotherapy for partial-onset seizures. 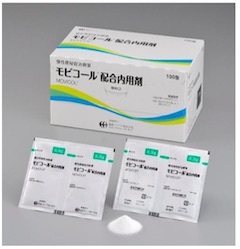 Eisai Co., Ltd. announced today that the latest information on its in-house discovered and developed anticancer agent eribulin mesylate (halichondrin class microtubule dynamics inhibitor, product name: HALAVEN, "eribulin") will be presented during the 41st San Antonio Breast Cancer Symposium (SABCS). Eisai Co., Ltd. announced that the latest data on its antiepileptic drug (AED) perampanel (product name: Fycompa) will be presented at the 72nd American Epilepsy Society Annual Meeting (AES 2018) to be held from November 30 to December 4, 2018 in New Orleans in the United States. Eisai Receives "IR Grand Prix Award"
Eisai Co., Ltd. has announced that it received the "IR Grand Prix Award" at the IR Award 2018 held by the Japan Investor Relations Association (JIRA). Eisai Co., Ltd. announced that its Chinese subsidiary Eisai China Inc. (ECI) has launched the kinase inhibitor LENVIMA (generic name: lenvatinib mesylate) in China.